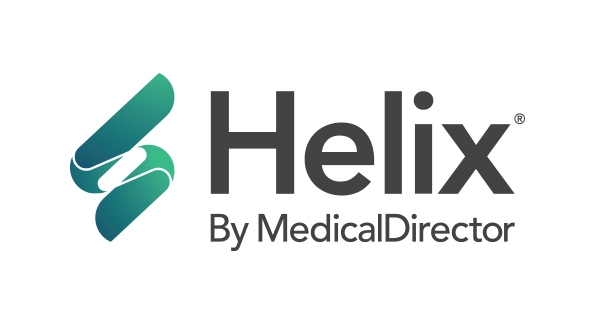 A busy psychiatrist often needs to provide out-of-clinic patient care and Dr Leonard Chin, who tends to patients in both urban and rural locations, enjoys the power of Helix, a cloud-based clinical software solution from MedicalDirector. Helix allows him to streamline his workflow, manage prescriptions and schedule appointments anywhere, and on any device. Based in Sydney, Dr Leonard Chin runs his practice from the George Smith Memorial Hall at a church in Paddington, where his patients are generally underprivileged and socio-economically disadvantaged. He also tends to patients in rural and remote locations such as Darwin, where he travels almost every fortnight. "I essentially have three different work spaces. Three days a week, I run a private clinic which is run from a church hall, and it’s a bulk billing service for financially disadvantaged patients. On the other days, I am either doing tele-health consultations from home for patients in rural and regional areas, or flying up to Darwin where I visit patients face-to-face." As a busy psychiatrist working in and out of his clinic, Dr Chin needed a software solution that was as mobile as he was, where he could better manage his workflow and free up more time to offer better, more personalised patient care. Importantly, Dr Chin needed a mobile software platform, which he could access while he was on rural care visits in Darwin, and quickly view all his patient records on file. At the same time, Dr Chin wanted a software solution that he could easily manage himself, removing the administrative burden and costs association with an IT support team or complex technical infrastructure. As a psychiatrist who works with the underprivileged and disadvantaged, where prescription of medication to tackle mental issues that affect patient’s memory and organisation is common, Dr Chin also needed a solution that had an efficient prescription management system which was accessible on the go. "The prescription process is a core part of what I do, so I was looking for a solution that can help make this process as efficient and fuss-free as possible"
After conducting a range of searches for the best cloud-based software solution, Helix by MedicalDirector was Dr Chin’s go-to solution that enabled him to access all his patient records while on the move, while streamlining his day-to-day tasks and organising his busy schedule. "Getting up and running was straightforward, and I received training and support which was very helpful,” he said. “When I’m out and about, I can access the information from anywhere. Helix also helps optimise my workflow with the appointment booking system, which also helps me save valuable time to tend to more complex patient care." And with real-time prescription monitoring platform eRx fully integrated into Helix, Dr Chin can easily manage his electronic scripts wherever he is, which is particularly important for his patients suffering from ADHD. Both the pathology and prescription function are very helpful as part of the integrated Helix solution. I can easily prescribe, which is then integrated into the patient’s clinical notes via Helix. It is also very easy for me to generate pathology requests. Overall, I would recommend Helix to healthcare professionals as it allows access to patient’s clinical records no matter where you are. Helix’s innovative cloud-based system allows busy practitioners to access clinical notes, patient records and appointment schedules anywhere, and on any device. Helix integrates real-time prescription monitoring platform eRx, streamlining prescribing and managing patient’s clinical notes. Easy to set up and use, Helix helps optimise workflow efficiency leaving practitioners more time to focus on patient centric personalised care.